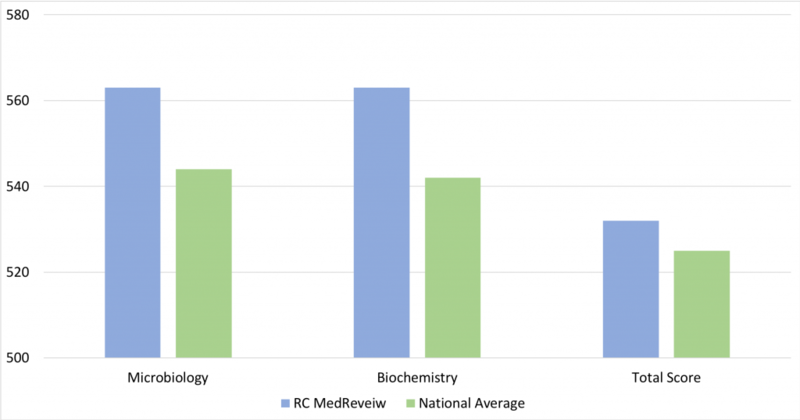 Among the wide range of online reviews available to medical students, RC MedReview stands out as the only program that focuses on just the right amount of detail for excelling on the boards. It is no surprise that our students consistently score higher than the national average on all subjects, especially those subjects traditionally considered to be the most challenging like microbiology and biochemistry. Fostering a strong foundation in basic science without going into unnecessary detail, the RC MedReview program is about building connections, not simple memorization. We have consistently received the most favorable reviews from students who have been able to master the subject matter and excel on the exam. Don’t get locked into an expensive program! With the RC MedReview subscription-based USMLE step 1 and COMLEX level 1, you get unlimited access to the entire course material for one low monthly subscription fee. Cancel your subscription anytime. The RC MedReview course was tailored by Dr. Samir Rizk, a member of the Academy of Distinguished Educators and winner of multiple “best teacher” awards with over 35 years of teaching experience. Dr. Rizk has assembled a team of practicing physicians and clinical researchers who are passionate about teaching medical students. If you use the online USMLE step 1 or COMLEX level 1 program for 6 months or longer and purchase the High yield review questions for one month or longer and failed the exam you may be granted a free access to the video lectures for additional 3 months. If you use the online USMLE step 1 or COMLEX level 2 program and failed the exam you will be granted a free access to the video lectures for additional 3 months. Not sure how to study? We’ll provide you with a personalized study schedule to help you utilize your time effectively! Need advice on how to succeed on your exam? We provide personal and thorough advising to ensure your success on your boards and wards. Contact Us!